Gold futures extended fall in the Asia electronic session today following the strong retail sales data from US which stoked rally in the equities and drop in the gold. The S&P 500 closed 19.68 points, or 1.1%, higher at 1,838.88, and the Dow Jones Industrial Average rose 115.92 points, or 0.7% to 16,373.86, as investors welcomed stronger-than-expected retail sales. The U.S. Commerce Department said core retail spending posted a big jump, a sign the economy was gathering steam at the end of last year and was poised for stronger growth in 2014. Retail and food services sales climbed to $431.9 billion, an increase of 0.2 percent from the previous month and a 4.1 percent gain over December 2012. Sales rose 4.6 percent year over year. 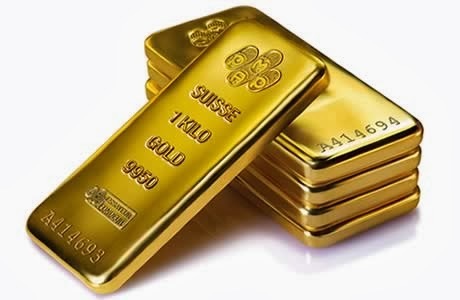 Gold for February delivery is down $4.5 at $ 1240.9 an ounce on the Comex division of the New York Mercantile Exchange. Yesterday, it lost $5.70, or 0.5%, to settle at $1,245.40 an ounce. Assets in the SPDR Gold Trust, the biggest bullion-backed exchange-traded product, fell for the first time in four days to a five-year low of 789.56 metric tons yesterday. Traders also looked to comments from Federal Reserve officials. Bank President Charles Plosser of Philadelphia said Tuesday that the central bank should end its controversial bond-buying program sooner than the end of 2014. Dallas Fed President Richard Fisher said he wanted the taper announced in December and implemented this month to be double the size it was. He wanted a $20 billion taper instead of a $10 billion one. MCX February bullion may open today’s session near Rs 29050 levels with support around Rs 28990-40 levels.